High-precision data-logging, replaying, and simulation to enhance your testing and validation activities for the development of ADAS and automated driving functions. The validation of automated driving functions requires precisely recorded data from vehicle sensors like ultrasonic, video or radar, and vehicle bus communication like CAN, FlexRay, or Ethernet, based on real driving scenes. 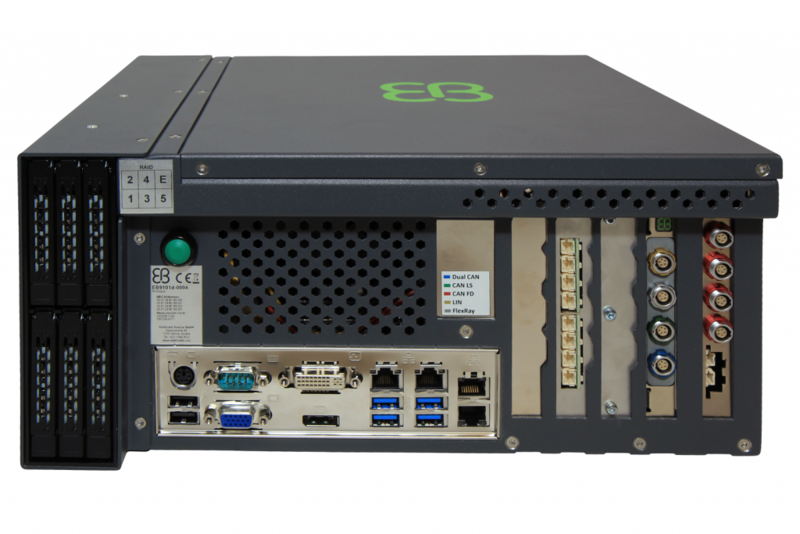 EB Assist CAR Box stands for a high-performant and reliable automotive PC system to suit your testing and validation needs. It is designed to be used as logging device in your test vehicle. It also is the perfect device for replay and simulation purposes, e.g. in SiL/HiL systems for ADAS/AD ECU testing. The wide range of interfaces for different sensors and ECUs connections as well as multiple additional features make it a highly modular, flexible, and complete high-end solution. Facilitate and accelerate your test and validation activities through high-performant data-logging, replay, and simulation. Highly precise time stamping done on hardware at a resolution of 25 ns ensures the highest possible accuracy. Our offering provides you a high-performant, integrated, and reliable system by interlocking with EB Assist bus tools and EB Assist ADTF. Our comprehensive in-house hardware and firmware development enables a fast and flexible realization of your requirements, especially a highly flexible I/O configuration according to your specific needs. One single contact and responsibility assures complete and professional support with short response times during your buying and configuration decision and beyond. Provides a proven and widely used development and test environment for delivering cutting-edge driver assistance solutions. 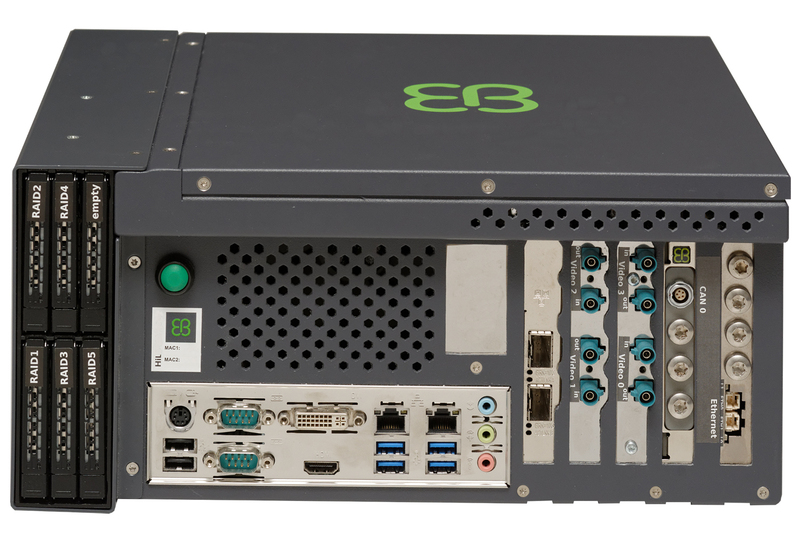 EB Assist bus tools stand for a proven-in-use set of modular I/O slot cards and I/O interface modules. It can be used to equip EB 9101 and EB 9200 with interface modules in order to interconnect vehicle sensors and/or vehicle bus communication systems. Ready to use for automated ECU testing, e.g., rest bus simulation (RBS), software-/hardware-in-the-loop (SiL/HiL), end-of-line (EOL), or as an integral part of your production line. With our Hardware-in-the-Loop (HiL) simulation solution, you can test the functions, system integration, and communication of ECUs in a simulated environment under realistic conditions to validate your ECUs and their functionality. Product release notes for all versions of EB Assist.